I cannot believe this series has finally come to an end or rather I didn’t want it to end. I didn’t expect for Ciel to become a demon but he did. Aww, Claude dies but he’s together with Alois, Luka, and Hannah now. Ciel considers the self, burdened with a humiliating past, dead the moment he was reborn as a demon. 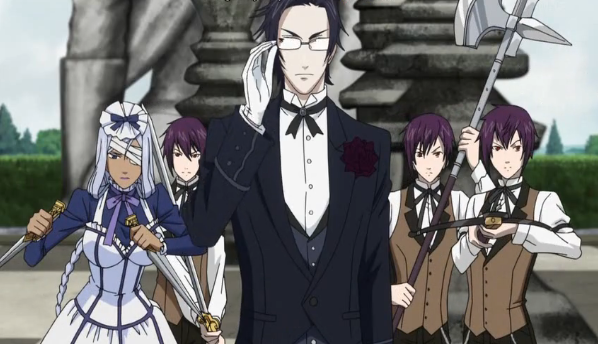 Well, Sebastian was ordered to be Ciel’s butler until he could devour Ciel’s soul. 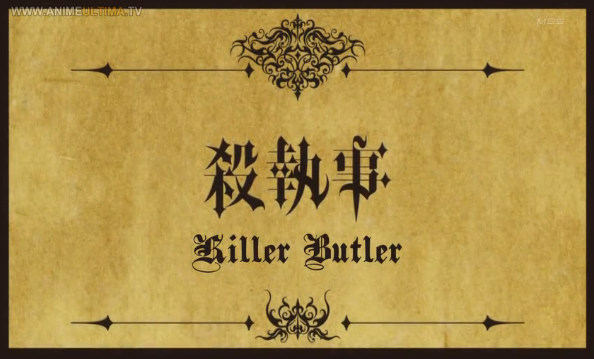 Since Ciel became a demon, Sebastian couldn’t take his soul which means that he is to serve Ciel for all eternity. Sebby doesn’t look too happy about it. >_< but Ciel is fine with it, maybe even happy about it. ahah. Claude calls Hannah and the Triplets his ‘supportive and dear friends of darkness’. I didn’t think demons had the ability to trust other demons. How come Sebastian doesn’t have any friends of darkness? >.> It’s probably cause no one is good enough. :3 Why does Hannah and the Triplets help Claude anyways? Do they get something out of it? I’m thinking Ciel is glad that Alois didn’t actually die because when he said ‘ I see, so he lived’. He sounded a bit relieved about not being able to kill Alois. He’s getting a bit suspicious of Sebastian possibly hiding some information from him. Should Sebastian be believed in? Kuroshitsuji II: ep 8- Sebby’s Smile Is Much Hawter..
Why is the Viscount in this episode? =.= …He talks… a lot. Season one is tied into season two so the entire plot and storyline flows and makes sense. At the end of season one, Ciel’s soul was to be devoured by Sebastian but unfortunately, Claude stole Ciel’s soul making him a void. Sebastian is so upset that he destroys the place, causing an explosion on the island. >.< I wouldn't want to be near him if he ever got pissed like that. This episode answered a few of my questions and gave me many surprises. Even though questions were answered, more questions popped up. OTL.